Terryl Givens, the Godfather of New Mormonism. (Name) has suggested a grassroots effort by Mormon intellectuals concerned with the church’s future as a responsible social institute to adopt/influence a new version of Mormonism. In this version, the church would move away from its foundational truth claims. Aside from some issues already highlighted, namely not having the support of leadership, no way to succinctly describe it, how do you garner support without gaining a following and risking apostasy, and being a form of Mormonism not recognizable, what other issues does this new Mormonism face? …One of the biggest problems I see is how do you get anyone to participate? If you move away from the foundational fundamental truth claims, why would anyone participate in Mormonism? The motivating factor in Mormonism is fear/reward. If you move away from those teachings as (Name) suggests, how do you get someone to donate their time as a volunteer bishop or what will motivate anyone to consistently give 10% of their income? If there is no fear of penalty or no reward for obedience, why would anyone participate in any meaningful manner? The internet information age is exploding information that is challenging the foundational truth claims of Mormonism. Some of the “best and brightest” are leaving the fold because they see it as a binary decision: if truth claims are shown to be literally false, leaving the church must be the only choice with intellectual integrity. “New Mormonism”, (which I call the sacramental/metaphorical paradigm) where the obstacles of faulty truth claims are completely removed. Emphasis is made on the beauty and enrichment one enjoys by engaging with Mormonism, ignoring or shelving the historical truth claims. Viewing Mormonism as a path to connect with God, learn and live a Christ centered life, and serve and be served in the Body of Christ with fellow worshipers. How do you articulate New Mormonism to help preserve the doubters, while not destroying the literal believers, and not upset the brethren? Further, once you articulate it, how do you convince people to fully engage, ie pay tithing, obey commandments, go on missions, serve in callings, etc, if these are not seen as direct mandates from God required for salvation? I deeply love Mormonism and find truth and value in it despite losing my literal testimony many years ago. In recent years, I’ve undergone a rebirth of faith, with a new sacramental paradigm approach. I feel called to help publicize this paradigm as a way to help those who are struggling with historical facts but want to hang onto their faith. 1. Provide a full and detailed, coherent narrative of New Mormonism. Lately, there have been many threads that might be very interesting. I say “might be”, because when I read them, I don’t know what the freak they are saying – thus I don’t really know if they are actually interesting. I understand the stance that New Mormonism leaders are taking in speaking with clarity on historical claims. If they speak out clearly on that side of it, they might harm people’s faith and get stopped by the brethren. They are taking a half step towards New Mormonism. Some people are taking that half step with them and figuring out the rest by themselves but most are giving up and jumping ship. I favor a direct approach. Religion is man made. Human creativity responding to divine persuasion. 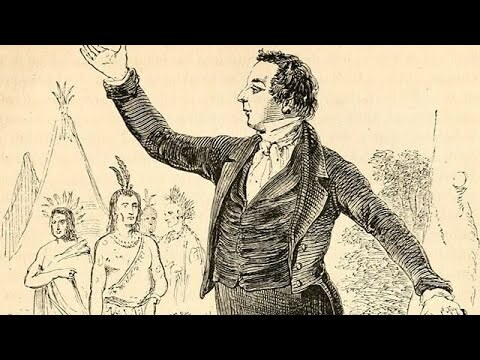 LDS historical origins are not exactly what many of us were taught. Though the historical record suggests Joseph had some kind of powerful interaction with God in his youth, the 1838 account of the First Vision emphasizing exclusivity of the LDS church is likely not accurate. The BOM most likely is not a translation from writings of ancient Americans. The way polygamy was implemented was most likely not what God wanted. And by the way, other religions have all the same problems. The Bible’s likely not what you think it is either. But there is so much more to Mormonism than this. 2. Articulate the reason for engaging fully in New Mormonism. How do you get people to fully engage, ie obey commandments, go on missions, serve in callings, etc, if these are not seen as direct mandates from God required for salvation? Do we believe God gave us this plan just for the heck of it? Or do we think there’s a reason for tithing. A reason for missions. For church attendance. For the sacrament. For obedience. For sacrifice. They help us progress to become like God because by doing them something happens inside us. We are blessed. Our souls are transformed and we come unto Christ and become like him. We find peace, joy, and safety. We connect with God and enjoy a relationship with him. We gain insight into our relationships with others and discover how to enhance them. It might take more discipline, more faith, but in a way it’s more beautiful and potentially even more rewarding to fully engage in Mormonism because you really believe in the purpose of it not just because you have to. This is the new job for the LDS Apologists. The Mormon Defenders of the 21st century will no longer be arguing about tapirs and missing scrolls and presentism and why scientists are wrong. LDS Apologists of the 21st century will be talking about the spiritual value of the Christ centered LDS life. a. This is not a movement. I don’t have an ego about this. If my stake president calls me in and tells me to take down my site, it will be down. I’ll be in church the next Sunday with my family dressed up sitting in the chapel worshiping God with what I believe to be the true Body of Christ in the LDS church. Maybe another person will fill a similar call and take up the work. I truly believe this is destiny for the LDS church. The truth claims are coming crashing down and something has to be done. I don’t know if the church is ready just yet. But, IMHO, it has to happen at some point. b. I don’t criticize the brethren. I’m not demanding change. I’m presenting a view I think fits within the big tent of Mormonism. I’m not going to be outspoken on issues like racism, gender equality, LGBT issues. I sustain the brethren as those we trust to make those decisions. I’m not against those who respectfully dissent and ask for change, as that is a historically accepted aspect of the Body of Christ, but I’m pretty conservative in how I interpret the proper way to communicate that dissent. c. Be mindful of literal believers. I really take this charge seriously. Someone shared one of my links in a facebook group for prospective missionaries, and I asked them to take it down. I’d like my message to be public enough that the doubters and strugglers will become aware of it before they choose to dump Mormonism. But I don’t want to push it in the face of young testimonies or those comfortable with their literal beliefs. Grant Hardy at FairMormon. Yale PhD and counselor in stake presidency, Dr. Grant Hardy shares his view of the gospel, including exclusivity claims and scripture historicity. Richard Bushman and New Mormonism. Quotes from Richard Bushman’s interview with Bill Reel. Greg Prince and New Mormonism. Greg Prince shares his view of the gospel with John Delhin that correlates nearly exactly with New Mormonism.